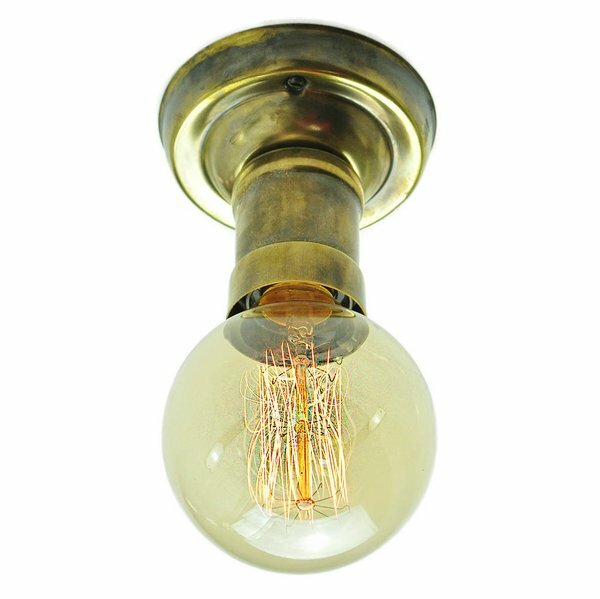 Description: Tommy Flush Ceiling Light. Solid brass shown Antique Brass and Polished Nickel finishes. Shown with LB3 lamp (supplied complete).